His first vintage was in 1955, yes 1 9 5 5, people. Pedro Rosell from Bodega Cruzat. That makes Pedro Rosell a wine legend – take it from me, es un señor oozing experience and charm. 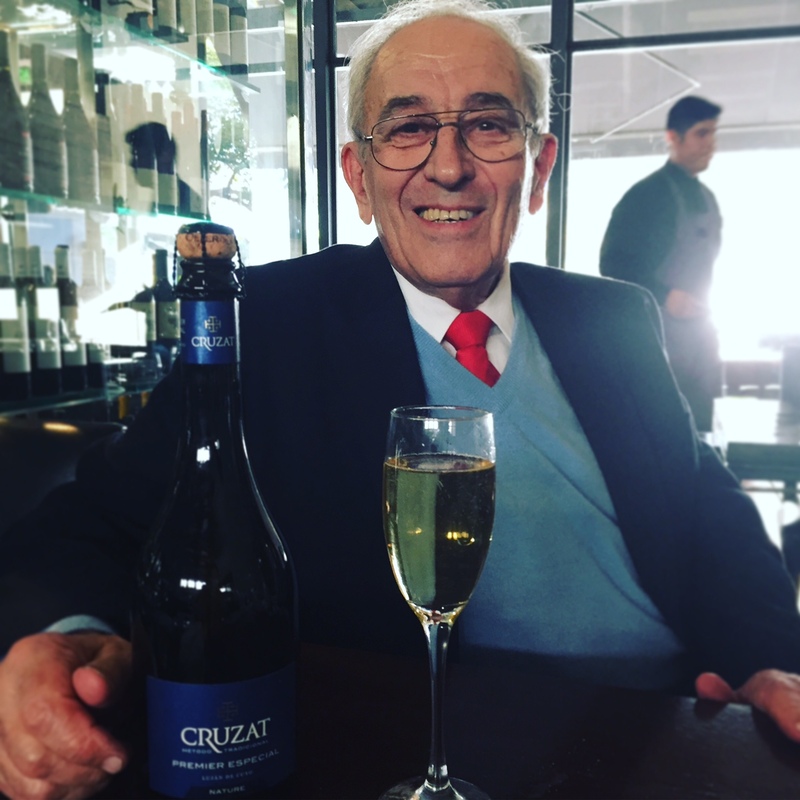 A true gentleman who crafts the finest bubbles in the land, Pedro continues to innovate at @bodegacruzat and the proof is in his latest fizz release – the champenoise style Premier Especial Blanc de Noir Nature – that plays with French oak. 280 pesos, only available online from bodegacruzat.com. Cheers!